Nothing makes you stand out more than a personal website that showcases your education and experience, just like a standard resume would. There are a few reasons why personal resume websites are far better than traditional resumes. First of all, more and more employers are turning to the Internet in their search for new employees. You need to show up in their searches, and having a website is a great way to be able to do this. 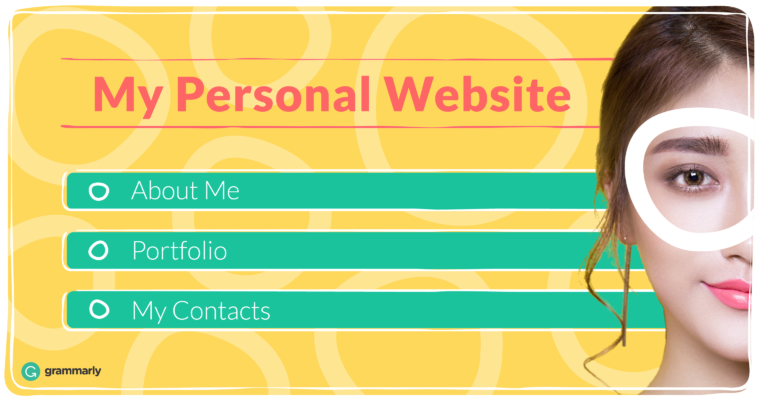 Today we are going to talk about the benefits of a personal resume website, and how you can create your own site that is going to get noticed by . Be More Discoverable: These days, more and more employers and . If you have applied for a position, chances are that they are going to search your name online. Wouldn’t it be nice if they were able to find your personal resume site as soon as they type in your name? Having a website makes it easier for potential employers to find you and learn more about you. Gain Credibility: When you are able to show examples of work you have done in the past on your resume, it lets you really showcase your skills and talents. Using photos and videos is something that you can’t do with a traditional resume, but you are free to get creative with your personal resume website. An added bonus is that potential employers are going to be able to see just how creative you are. Show a Willingness to Work: Creating a personal resume website involves a lot more than just putting together a site and then ignoring it. You need to maintain and update the site regularly, and you need to market and promote your site so you get noticed. This means that you are going to be doing a lot of work and learning new skills as you go, which is something that is going to be noticed by potential employers. The first thing you need to do is get yourself a domain name. The obvious choice here is to use your name with a .com extension. You can have the domain name begin with your first or last name, adding your middle initial or name, with your first initial and last name, etc. The choice is yours. Just make sure that people are easily able to see that this is your personal resume website. If they are specifically looking for you, this is going to make it easy for them to find you. The next step is to find the right hosting plan for your personal resume website. Check out . Some plans can be purchased for just $12 per month, and you can often buy the domain name and get hosting from the same provider. Look for a provider that offers excellent customer support. You never know when you are going to need help, and you need to know that you can get that help when you do need it. The best providers offer 24/7 customer assistance. It is a good idea to create a great landing page that has a button that links to the . A great-looking landing page with a short biography and a photo that shows you or what you do can entice potential employers to want to learn more. Having the link right there makes it easy for them to find you and take a look at your full resume. Rather than having your entire resume on one page, break it up so that each section has its own page on your website. This gives you more of an opportunity to really get into detail about your education and training, experience, etc. Set up a site menu so readers will know exactly where to go to find the information they want to learn about you, and they can get there quickly and easily. Choose a that will let you do this easily. Find a website template that will allow you to create a page that is long and scrolling, and that lets you put things into different sections, referred to as an index. This is going to be used for your work history page, and you can really make it stand out by adding a variety of multimedia elements, such as photos or videos. Begin with your most recent work experience, and work your way back. Don’t forget to mention volunteer work and other side projects you are working on. If you really want to be noticed, include a blog on your personal resume website. This is a great way for you to be able to share your ideas about the industry you work in or wish to work in or engage with more people. Just remember, if you are going to include a blog, make sure that you update it regularly with new and interesting posts. Make sure that it is going to be easy for potential employers to download your resume so they have a hard copy. Your website should include a button that lets them download the resume in a single click, as well as print it out. Then, they will be able to print it and share it with others who may be a part of the hiring process. В интеренете нашел интересный веб портал , он описывает в статьях про https://avtovoz.co.ua.